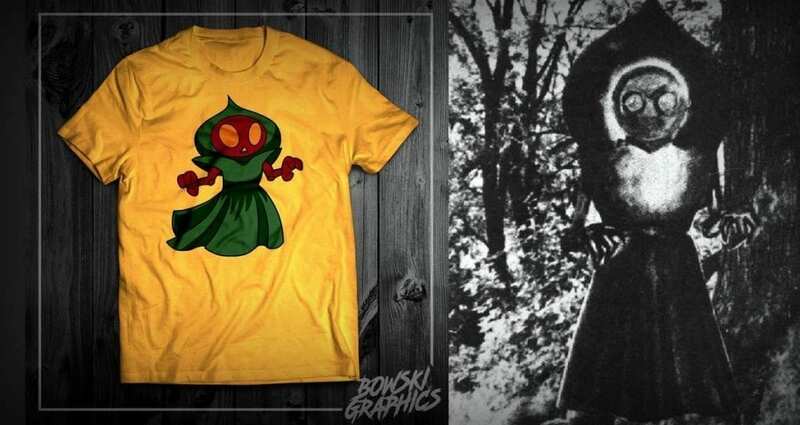 A Flatwoods Monster T-shirt is one of many West Virginia-themed Ts being marketed by Bowski Graphics. The potential economic impact of the newly released Fallout 76 video game in West Virginia is all-too-obvious to a graphic designer who has recently returned to invest in the Mountain State. 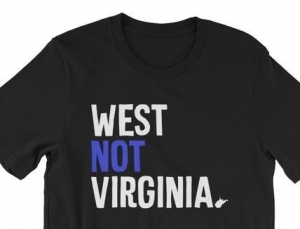 Bowski Calhoun, who today launched several new lines of T-shirts for fans of Fallout 76 and West Virginia, says the video game set in an alternate version of West Virginia will have a positive impact for years to come. “The thing is, West Virginia has always been a really interesting state with a unique culture and history. This game, I believe, is showcasing what makes us special,” Calhoun said while readying a new production facility in Beckley. A native of Beckley, West Virginia, Calhoun spent the last several years in Tampa, Fla., employed as a graphic designer for the alternative metal band Mushroomhead. He was also a gamer who had been engaged in early incarnations of the Fallout 76 game series, which plays out in an alternate timeline for the U.S. decimated by a nuclear apocolypse, and he understood how engaged players would become. “When Fallout 4 was announced, I did a ton of research on Boston so I could recognize historical landmarks and have a better understanding of the story they were telling. It’s really exciting to know that the whole world is doing the same for our humble state. Looking for an ideal Christmas gift for a West Virginia fan or Fallout 76 follower? Visit BowskiGraphics.com. West Virginia Explorer users can use the coupon code “EXPLORER” to get 10 percent off their purchase for a limited time.